The Cherokee and Spartanburg 4-H programs, managed by 4-H Agent Ginger Bowen, have started a partnership with the statewide 4-H Science on the Move initiative. 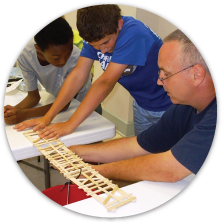 4-H Science on the Move, created by South Carolina 4-H and the Clemson Extension Service, is a source for education resources for STEM- science, technology, engineering, and math. With 4-H Science on the Move, local 4-H programs have been able to implement educational STEM activities. These activities have been used by 4-H clubs, homeschool groups, local schools, and at afterschool programs through a partnership with the Boys and Girls Clubs of the Upstate. These efforts have been made possible through a grant from the Appalachian Regional Commission. Interested in discovering how your school, homeschool group, or community organization can inspire students to love science? 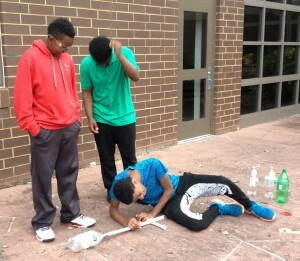 Contact 4-H Science on the Move today!